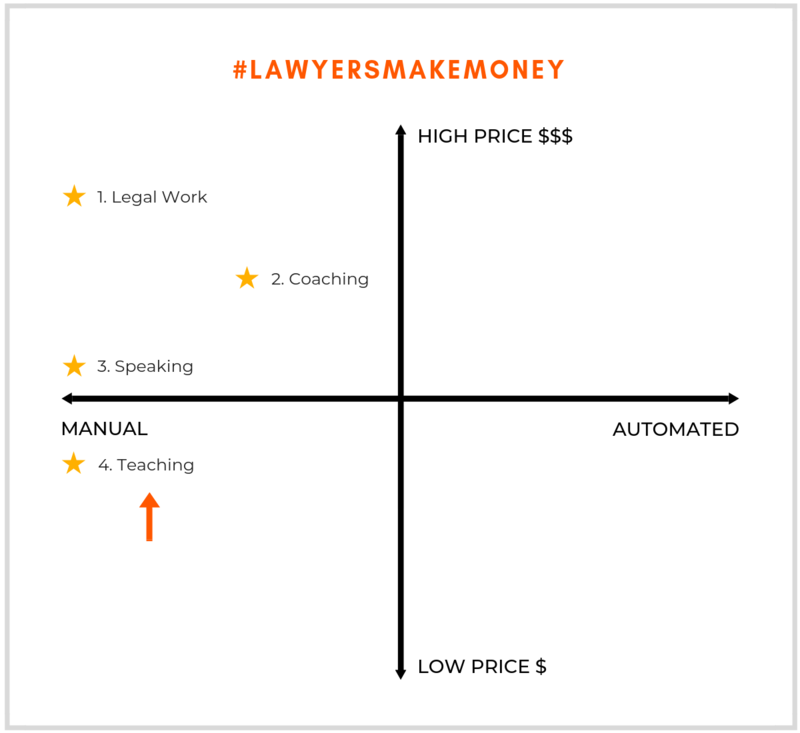 By investing your time wisely and looking beyond trading hours for dollars, you could be earning money with your legal expertise in ways that you haven’t thought about before. How do you decide where to focus? Where you focus your efforts and leverage your legal expertise is important. Ideally, you’ll want to be making the most money in the least amount of time. Pricing potential - can you charge a lot of money for it, or does it have a low price potential? Time investment - how much time do you need to invest? Do you need to put a lot of time into it on an ongoing basis? Is it manual work, or can you automate it? Where do you want to be on this matrix? You wanna be on top right where the orange arrow is because that means you have the highest pricing potential and you have the most automation possible. Effective legal coaches provide strategy, support and guidance to other lawyers or some other niche group based on their specific skill set and the needs of the clients they serve. For example, a coach who helps lawyers launch their own law firms or a coach that helps law firms create and implement strategic digital marketing plans. Time to get #instafamous. You will have seen Youtubers, podcasters, and bloggers, with big followings, attracting advertisers and brand sponsorships, and selling merch. You can do this too - start by seeing the wider potential that your personal brand holds. You can generate buzz, and an audience, from content about you and whatever you’re expert at, using blogs, social media, a podcast, Youtube, webinars, challenges, or a video series. 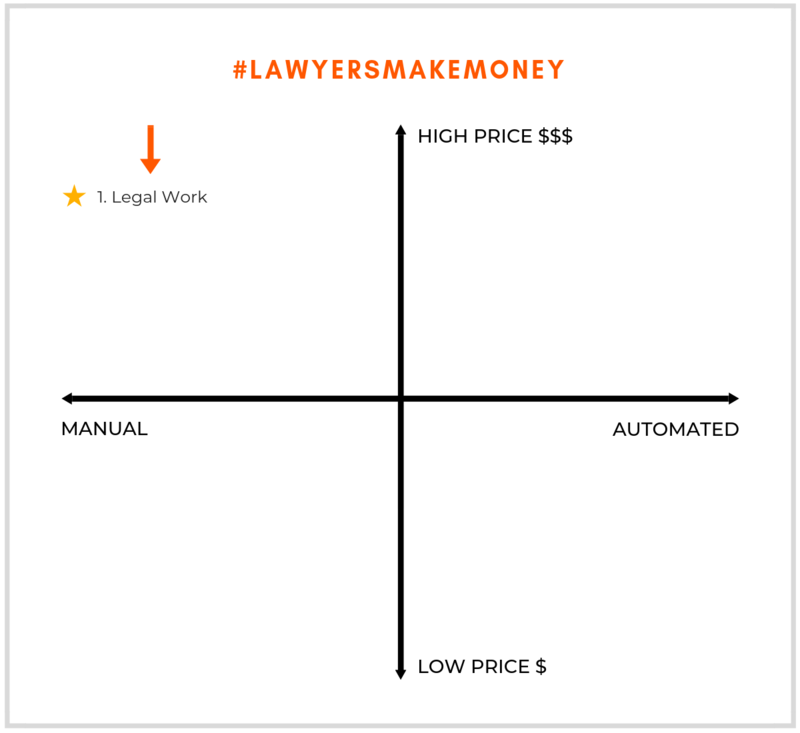 The key difference between a legal product and a legal service is a legal product can be produced and sold at scale, while legal services are usually delivered one at a time. Legal products include things like online courses, apps and ebooks. Once you’ve started building an audience (see 5 above), you can create a legal product based on your legal expertise and sell it to your audience. Online legal solutions (aka productised legal services) bridge the gap between legal products and legal services. They are a new type of legal services where intellectual property is leveraged, processes are standardised and most of the legal work is automated by software. Companies like LegalZoom and LawPath have shown that demand for productised legal services exists - but they can’t make the most of the opportunity because they are not registered law firms and can’t practice law. So where on the #LawyersMakeMoney Matrix do you want to be? 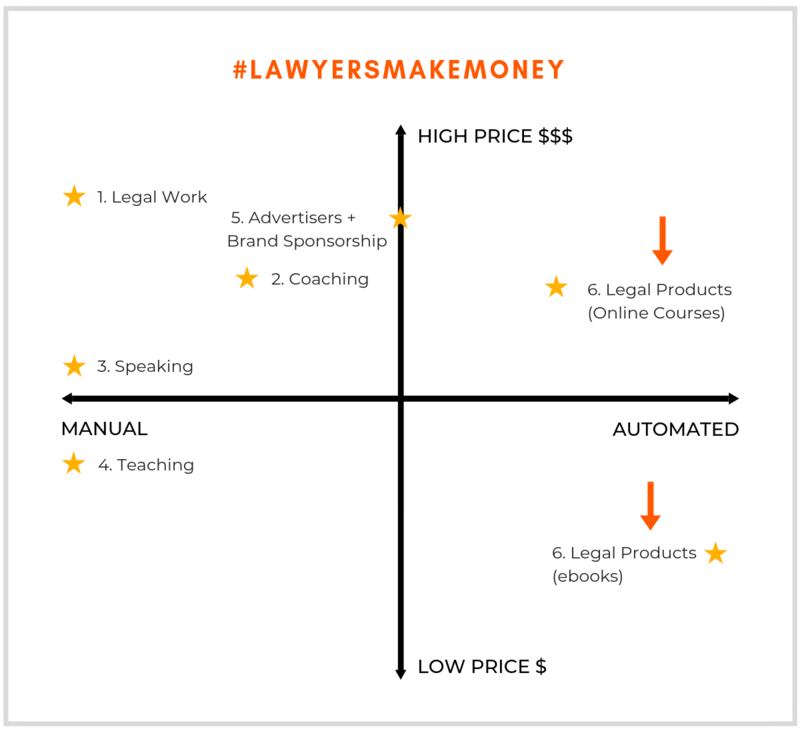 How will you use your legal expertise to earn revenue in 2019? Ideally, with the least input of time, by creating a scalable business leveraging your legal expertise. That’s what I want for you in 2019. If you’re keen to know more about creating online legal solutions so you can make money while you sleep, head over to my new Facebook Group. Join me and a community of entrepreneurial lawyers talking about how to scale their law firms with online legal solutions. It's FREE and takes 3 minutes. © 2019 Automio Limited. All rights reserved.